Down But Not Out. Publishing Reorients. — Marketing What's That? 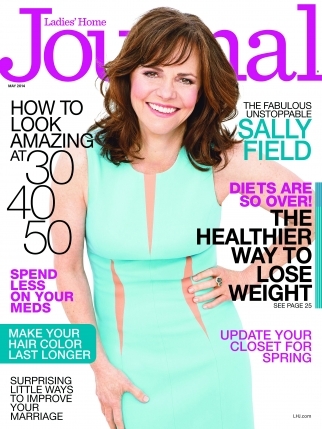 The headlines scream: America’s oldest women’s magazine is calling it quits! Ladies Home Journal, regarded in its golden age of the 1940s and ’50s as one of the “seven sister” women’s publications, will end as we know it. Last week, when word on the street began to take hold that LHJ would be downshifting, the message I heard, in the flurry of my busy, was that it was a goner. End of story. No mas. My assumptions that another one bit the dust only added to my musings on this whole magazine publishing industry. As a magazine publisher myself, fears surfaced, as one would expect, surrounding where that put me and my publication. I publish a bi-monthly magazine written entirely by kids. Distribution, mission and not the least of which, my passion, are completely different than that of LHJ. But, what shined similar was their vehicle. Print. My publication is primarily a print vehicle, with a growing web presence. A digital edition and apps are in the works, but these things take time. Something inside me knew better though than to buy into a tizzy. In business, and life for that matter, the second-guessing of our every move is healthy (within reason) and pushes us to look deeper. Read that again, Maria. It’s not gone. It will still be in print, quarterly rather than monthly. Reoriented. But not gone. Ahhhhh. Ok.
My point here is the fact that LHJ is still continuing in print, albeit less frequently, which completely excites me and validates my belief that there will “always” be a place for print publications. The cool thing about transitions are that they always brings us to a new version of certainty, which is something we all need in varying degrees. (Check out Tony Robbins’ 6 Human Needs.) And as shared by Dan Gilbert in his TedTalk, The Science of Happiness, the ole Shakespeare musing, “There’s nothing either good or bad, but thinking makes it so,” really rings truth. It’s all in how we choose to perceive. Back to publishing and what does this have to do with marketing?? Everything. This reorientation by LHJ is, I believe, a move of marketing genius. According to a post last week by Adweek, LHJ’s revenue stats showed they weren’t doing any worse than similar publications. What it seems LHJ has done, and smartly so, has been to accept the challenge of this transitional time in publishing with the courage to switch things up and blaze a new trail with the power of a disruptive marketing plan that may at times seem to defy logic. “If printed magazines are going to have a future, it will be as a luxury item and will not be considered a luxury item till the public pays for more than its current perceived value. Just like the razor blades I buy now at 17 times the old price, I have been up-sold and charged for a better experience,” said Sacks. The fact is, these Baby Boomer Women are also walking around with smartphones and clinging to their iPads and the like. They aren’t using them the same way as Gens Z, Y or even X, but they’re gobbling up the digital ease and joy in their own way. And, I suspect LHJ knows this and have already figured out how to balance both delivery methods for their loyal readers by leveraging their brand in print as a marketing tool, rather than the end all and only product. The reality today is that anyone with a smart phone or a laptop can “publish.” The word “publisher” has been losing its power for years. Gone are the days when a print publication can just appear in print on the streets and command easy ad sales. The whole business model of supporting a print publication entirely on ad sales alone is an becoming an endangered species. But according to Mary Berner, CEO and president of MPA — The Association of Magazine Media, as seen in Why Magazines Aren’t Screwed, its evolving into a new species with more opportunities than ever. With my own publication, where we offer licensing opportunities in communities throughout the US, the basis of our business model still works fantastically in print alone, but it behooves me to make sure my brand evolves into this new species as well. Which is why I obsess. If the publishers of our brand aren’t successful, we’re not successful. Smart print publishers, like LHJ are realizing what smart entrepreneurs have known for years. Making the product is the easy part. Selling it is a whole ‘nother story. Nothing comes easy for a newbie and in this case, an oldie blazing new trails. We all hit it big when we daringly harness our inherent power of grit, determination and most importantly, humility to put ourselves out there to make things happen in an ever changing world. It’s where we all thrive. So for a 131 year old publication to recognize this, reorient and blaze a new trail is fantastic news for every print publisher, newbie and oldie alike. Soon others will follow suit. Watch. And as always, learn.